As Age-Related Macular Degeneration/Low Vision Awareness Month comes to a close, we’re sharing three stories by Bonnielin Swenor, Ph.D., M.P.H., assistant professor of ophthalmology at the Wilmer Eye Institute in the Johns Hopkins University School of Medicine, and an assistant professor of epidemiology at the Johns Hopkins Bloomberg School of Public Health. New research suggests that smoking more than 20 cigarettes a day may damage a person’s vision and disrupt their ability to see colors. A new study, published in Clinical Epigenetics, identifies genes associated with Age-related Macular Degeneration that could represent new targets for future drug development. A signaling pathway controlled by transforming growth factor beta (TGF-beta) could be involved in the progression of age-related macular degeneration. Researchers from Queen's University Belfast, in collaboration with the University of Bristol, are leading a cutting-edge project, named the "MONARCH" study, that could benefit eye disease patients whilst saving both time and money within the NHS. 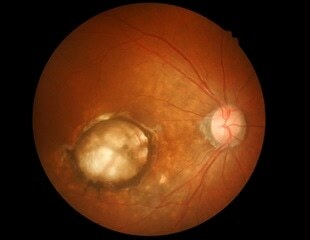 "Exactly one year ago, we spoke about the fact that, in future, it will be possible to diagnose diabetes from the eye using automatic digital retinal screening, without the assistance of an ophthalmologist – 12 months on, MedUni Vienna is right in the middle of this digital revolution." These were the words used by Ursula Schmidt-Erfurth, Head of MedUni Vienna's Department of Ophthalmology and Optometrics to open today's press conference about the ART-2018 Specialist Meeting on new developments in retinal therapy, which is to take place on 1 December.